Vancouver, B.C. May 29, 2018 - Ascot Resources Ltd (TSX.V: AOT; OTCQX: AOTVF) ("Ascot" or the "Company") is pleased to announce initial drilling results of the first eleven holes from the 602 zone at the Company’s flagship Premier-Dilworth project. 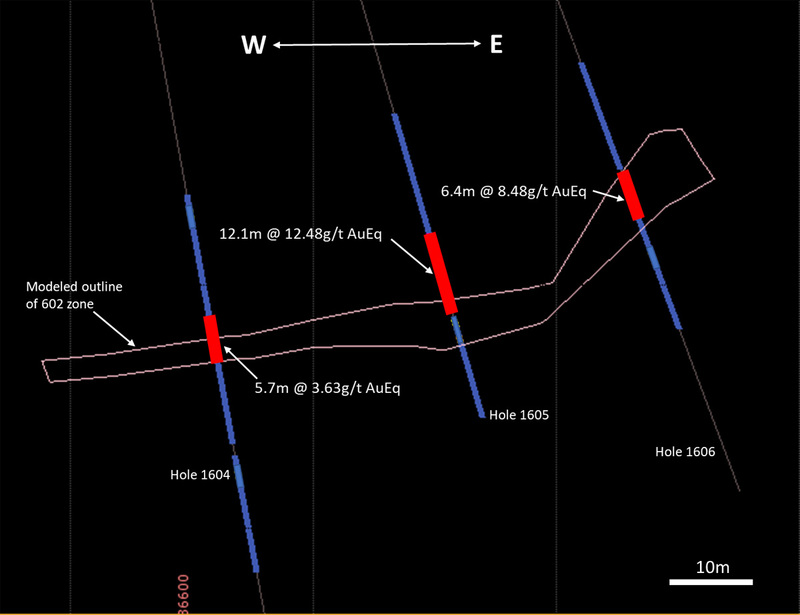 Several holes intercepted wide intervals of high-grade gold mineralization including 12.1m of 11.65g/t gold ("Au") in hole P18-1605 and 9.61m of 24.64g/t gold in hole P18-1609. 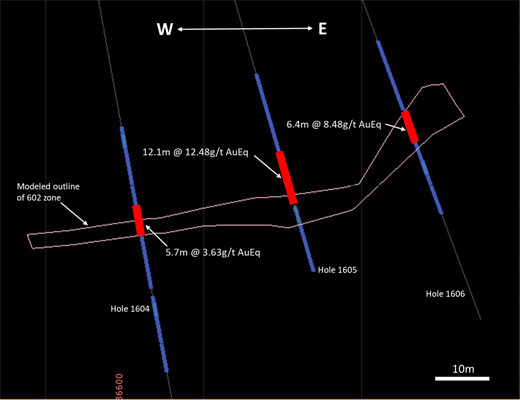 Figure 1: Plan view of the 602 zone showing the drill holes reported in this release and the location of the cross-section in Figure 2. The locations of cross-sections from the investor update of May 10, 2018 are shown as a reference. The investor update can be accessed on the Company’s website at www.ascotgold.com. Figure 2: East-West cross-section through the 602 zone, showing three of the reported drill holes. Graeme Evans, P. Geo and Lawrence Tsang, P. Geo, the Company’s Project Geologists provide the field management for the Premier exploration program. Graeme Evans, Consulting Geologist is the Company’s Qualified Person (QP) as defined by National Instrument 43-101 and has reviewed and approved the technical contents of this news release. Analytical work is being carried out by ALS Lab Group. Quality assurance and quality control programs include the use of analytical blanks and standards and duplicates in addition to the labs own internal quality assurance program. All samples were analyzed using multi-digestion with ICP finish and fire assay with AA finish for gold. Samples over 100 ppm silver were reanalyzed using four acid digestion with an ore grade AA finish. Samples over 1,500 ppm silver were fire assayed with a gravimetric finish. Samples with over 10 ppm gold were fire assayed with a gravimetric finish. Identified or suspected metallic gold or silver are subjected to "metallics" assays. For extreme high gold grades, a concentrate analysis is performed with a fire assay and gravimetric finish accurate up to 999985 ppm Au limit (ALS Au-CON01) method. Sampling and storage are at the company’s secure facility in Stewart with bi-weekly sample shipments made to ALS Labs Terrace prep site. All statements, trend analysis and other information contained in this press release relative to markets about anticipated future events or results constitute forward-looking statements. Forward-looking statements are often, but not always, identified by the use of words such as "seek", "anticipate", "believe", "plan", "estimate", "expect" and "intend" and statements that an event or result "may", "will", "should", "could" or "might" occur or be achieved and other similar expressions. 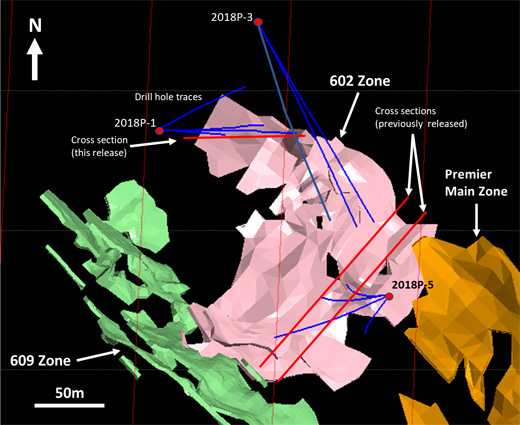 All statements, other than statements of historical fact, included herein, including, without limitation, statements regarding: the anticipated use of proceeds of the Offering, the Company’s 2018 drill program, and the exploration and mineralization potential of the Premier property, are forward-looking statements. Forward-looking statements are subject to business and economic risks and uncertainties and other factors that could cause actual results of operations to differ materially from those contained in the forward-looking statements. Important factors that could cause actual results to differ materially from Ascot’s expectations include fluctuations in commodity prices and currency exchange rates; uncertainties relating to interpretation of drill results and the geology, continuity and grade of mineral deposits; the need for cooperation of government agencies and native groups in the exploration and development of properties and the issuance of required permits; the need to obtain additional financing to develop properties and uncertainty as to the availability and terms of future financing; the possibility of delay in exploration or development programs and uncertainty of meeting anticipated program milestones; and uncertainty as to timely availability of permits and other governmental approvals. Forward-looking statements are based on estimates and opinions of management at the date the statements are made. Ascot does not undertake any obligation to update forward-looking statements except as required by applicable securities laws. Investors should not place undue reliance on forward-looking statements.